In a city with a population moving towards 9 million, it can be hard to find peace and quiet in central London. Yet GoBoat London has come up with an idea that now seems so obvious it is odd no-one has tried it before. London has a network of canals from the days before high-speed road and rail transport, when all goods were moved along the canals. GoBoatLondon has found a way we can all enjoy the waterways. 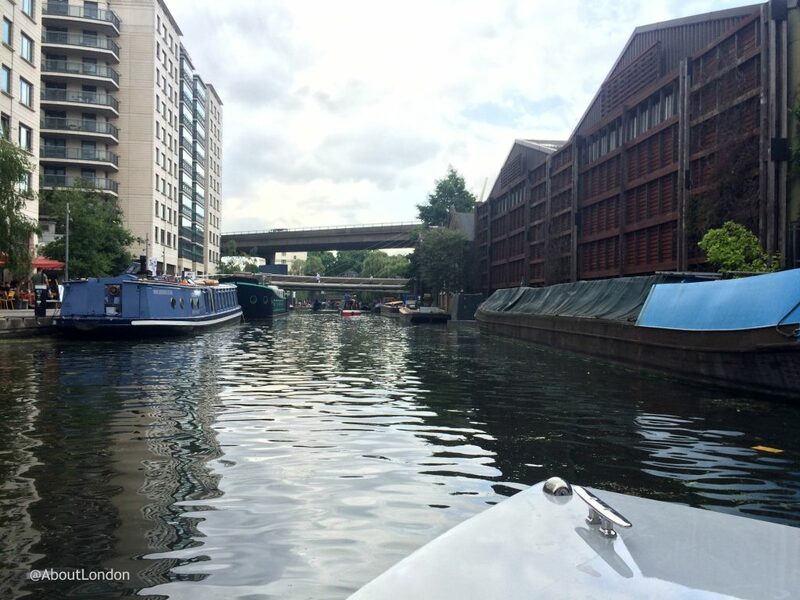 Based in the Paddington regeneration area of Merchant Square, GoBoat London’s base is on the Paddington Arm of the Grand Union Canal. This section opened in 1801 and the Grand Union Canal connects London to Birmingham but you won’t be heading that far. A few minutes away is beautiful Little Venice. A new canal was cut from here in 1812-20 to form the Regent’s Canal out towards Limehouse in east London. The architect John Nash played a part in its construction, using his idea of ‘barges moving through an urban landscape’. The canal’s commercial traffic declined in the 20th century and by the 1960s the canals were mostly abandoned. Thankfully today, the Canal & River Trust play a large role in promoting the canals for walking, cycling and boating. I had always thought the boating suggestion was only for those with experience or certain qualifications. 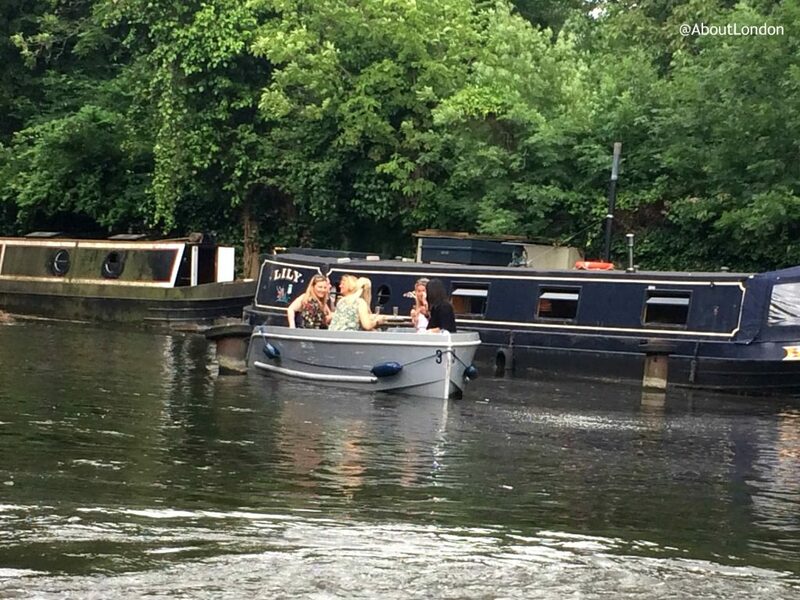 But unlike driving on the road, you don’t need to pass any exams to take a boat out on the canals. 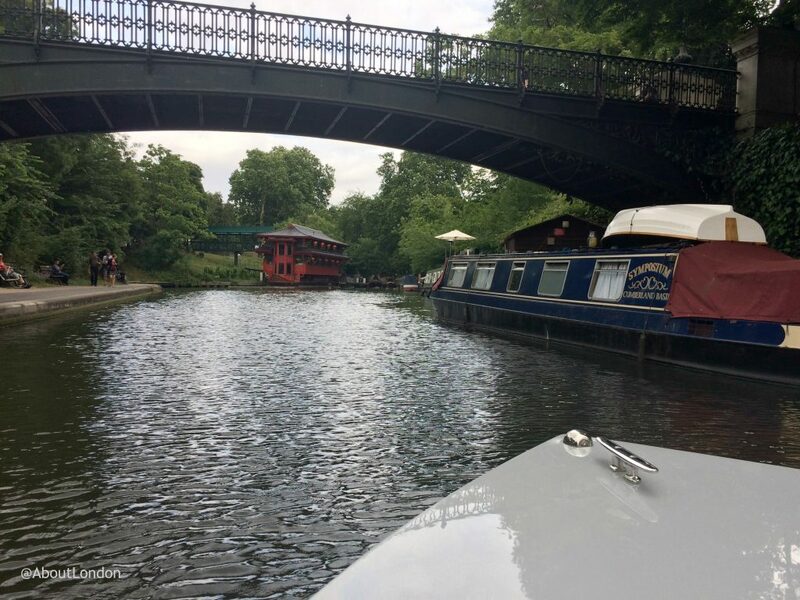 And that’s where GoBoat London have been able to bring the right type of boat to an excellent location for the likes of you and me to explore London’s waterways. GoBoat started in Copenhagen where it is very successful. 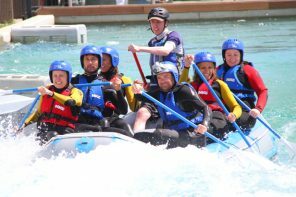 Two chaps from the UK thought it would be a good idea to bring to London so they formed a partnership and started GoBoat London earlier this year. 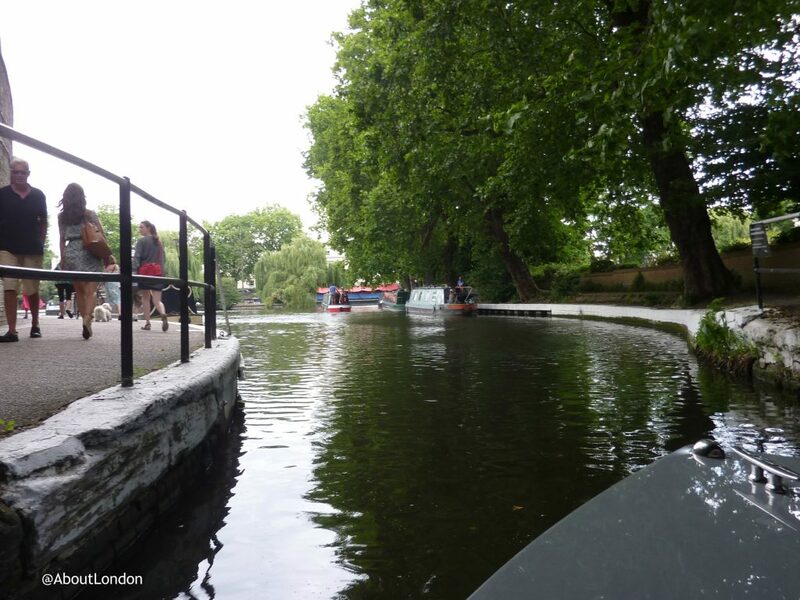 They wanted to make London’s canal water accessible to all. 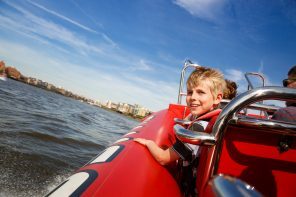 GoBoat London is the only self-drive, electric-powered boating experience in central London. You get basic training and then you are in charge of your own destiny for as many hours as you book the boat. There are eight boats available to book and each can carry up to eight people. The boats are made of 80% recycled plastic bottles and the wooden table is from sustainable sources. The company assured me no boating experience was required so I booked for a summer evening with friends. One hour is the minimum booking so we chose two hours to explore for longer. You are asked to arrive and check-in with them 15 minutes before your departure time so you can have the full safety briefing and boat instructions. Also, remember to check-out with staff when you return. Choose your Skipper and Deputy from your group as they will be ‘driving’ the boat. 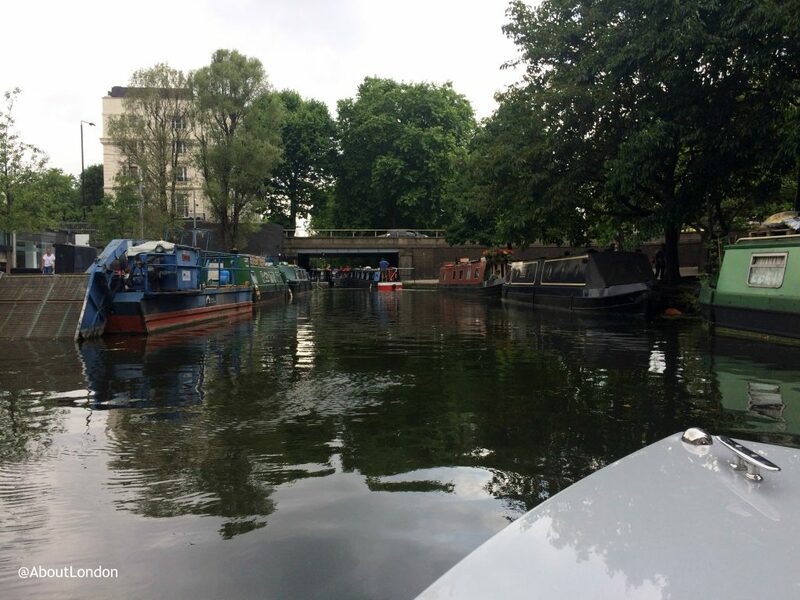 The instructions were very simple and the company’s phone number (and hashtag #GoBoatLDN) is on a label inside the boat so you can call for assistance, if needed. Every boat carries life jackets and under 18 year olds should wear them when onboard (smaller life jackets are available). There’s no noisy engine as the boat is silent through the water. And the maximum speed of 4mph ensures you embrace the peaceful waterways. We were told to pass oncoming boats on the right but we only met one boat going in the opposite direction and that was at a bend where we were waiting on the left to enter a tunnel. On the morning of our booking I received an email about the company’s Alcohol Policy. The limit is one bottle/can of beer per person or one bottle of wine between four people. As I had my 11 year old daughter with us we didn’t have any alcohol on our boat. While we were certainly the most sober boat on the water we all slowed down and relaxed. If you are concerned about wobbly waters I can confirm there is nothing to worry about as the boats are very stable. As everyone is travelling at a slow speed on the canal there aren’t the turbulent waters you might expect from a boat trip. The boat has a large table, which is good for a picnic, and it probably helps to keep everyone seated for the journey. But even when we had to stand, the boat didn’t rock in the way a rowing boat does. We found it only took around 5-10 minutes for basic ‘boat driving’ confidence. 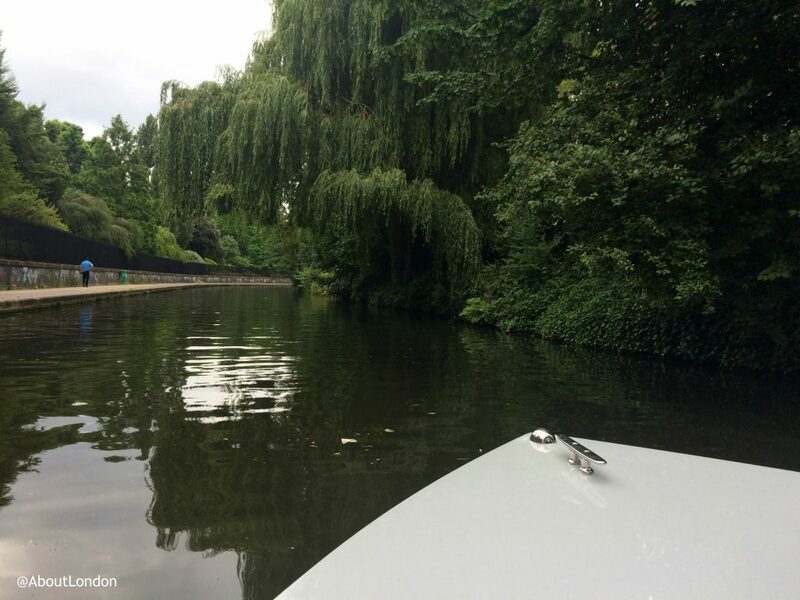 Our Skipper and Deputy explained you need to anticipate ahead so while the Skipper is at the back of the boat they do need a clear view to the front to help them. Overcompensating was our biggest mistake but once you realise how responsive the steering arm can be you soon feel in control. The biggest hazard for the GoBoats is plastic bags in the water. If your boat gets a plastic bag caught on the motor you need to try reverse first and if that doesn’t shift it then uses the pole, kept inside the boat, to push the bag away from the motor. We had a few stops to remove plastic bags but had no problems removing them and continuing on our way. Two hours do go by quickly even though you don’t feel rushed. We found it incredibly quiet on the water as we couldn’t hear any road traffic noise and, at times, hardly saw anyone walking along the canal path too. Travelling on a GoBoat isn’t transport as such as you have no fixed destination and are not really going anywhere in particular. You are just gliding along slowly and watching the world go by. 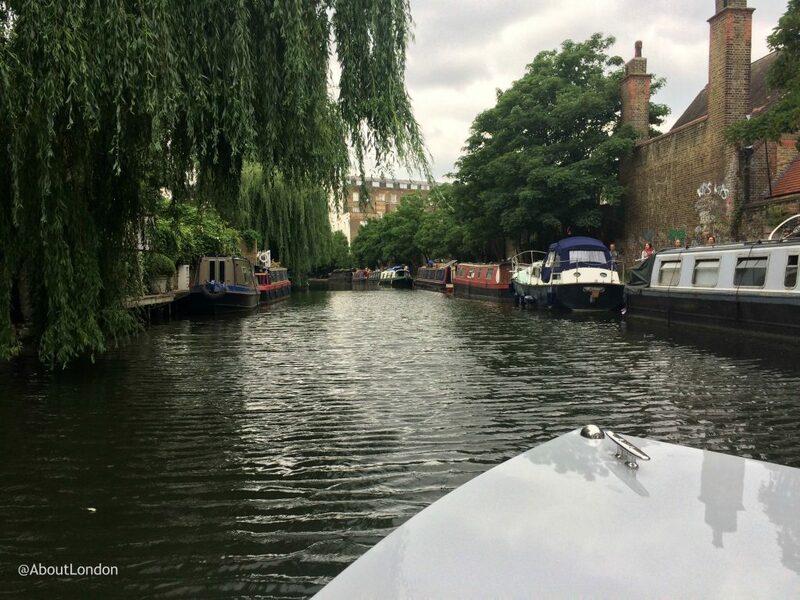 Unlike walking or driving in London, on the water you should say hello to everyone on other boats you pass so we found ourselves waving and greeting fellow boaters along the way. 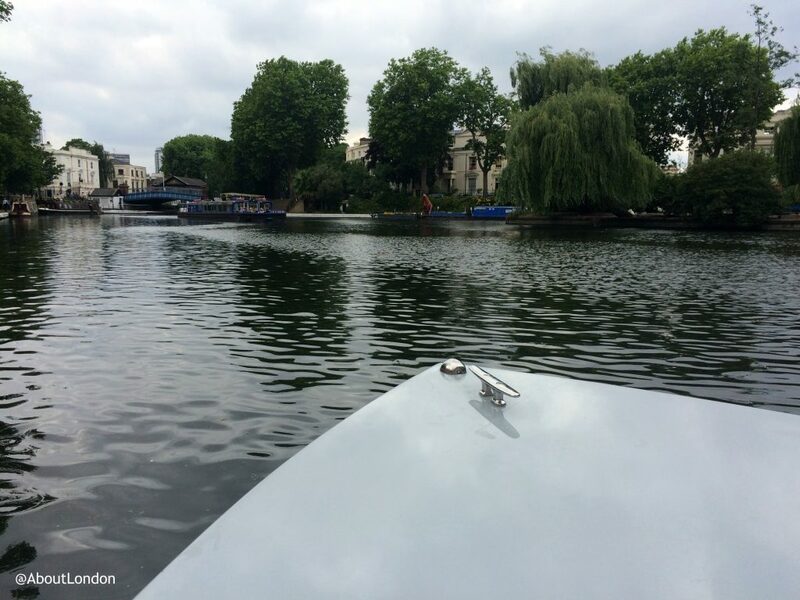 Within our two hours we were able to see Little Venice and then head along the Regent’s Canal to Camden Lock. 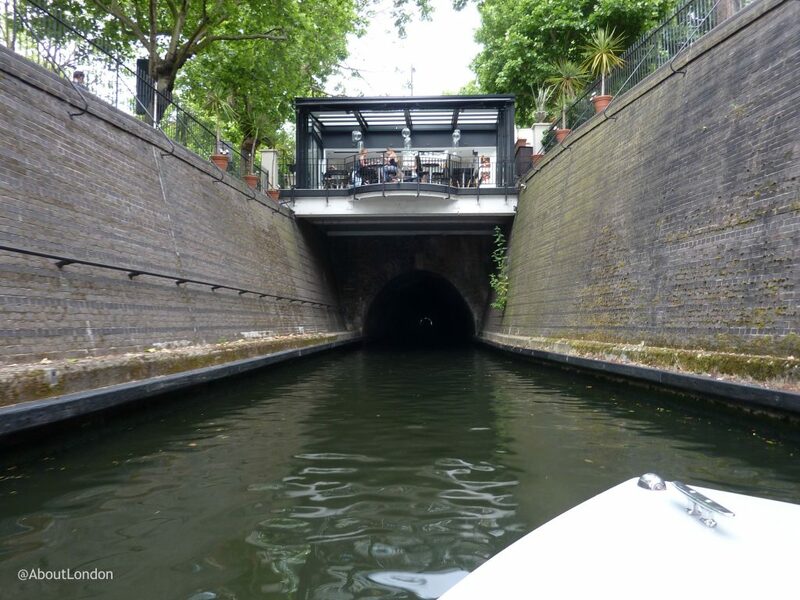 This route took us through the Maida Hill Tunnel where Cafe Laville is perched on top. It’s a long, narrow tunnel and only one boat can pass through at a time. It’s also dark inside and although the boat has a small light at the front it doesn’t add much illumination inside the tunnel. It is better to keep looking ahead to the other end of the tunnel to stay straight. 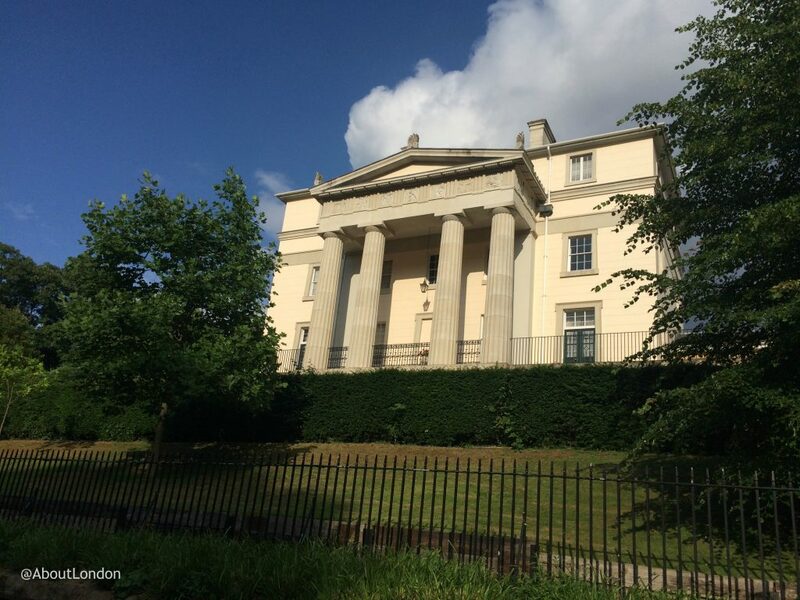 The next stretch goes past stunning Regency villas on the edge of Regent’s Park. Then the canal cuts through London Zoo where you have the Aviary on one side and the African hunting dogs enclosure on the other. Soon after you reach the Cumberland Basin where there’s the Feng Shang Princess floating restaurant. We saw a chap fishing here who was clearly not impressed by the amateur boaters on the water these days. And then you reach the end of the line in this direction at Camden Lock. The street art concentration increases as you get closer as do the number of people who get to watch you try and turn around and head back for the return journey. 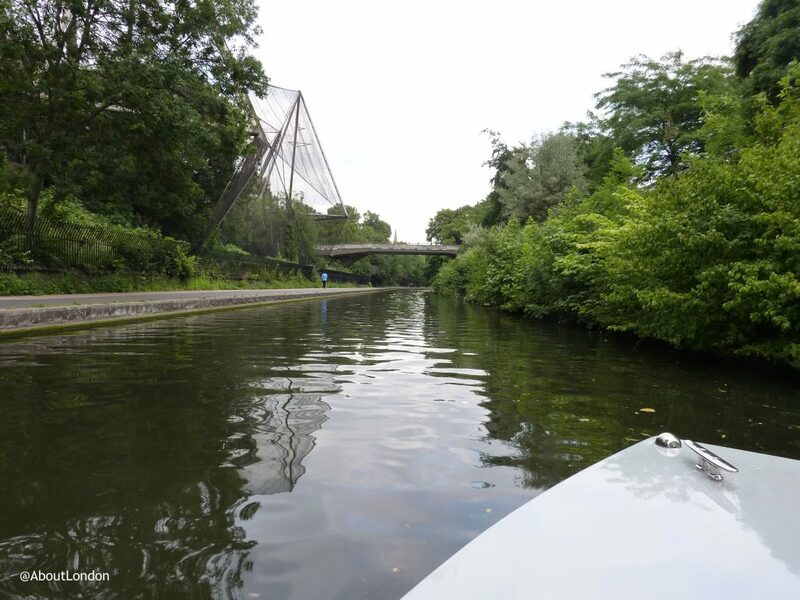 It also takes about two hours to go west up the Grand Union Canal to Kensal Green and back but there’s not as much to see along that route. I think the key thing to get across is how peaceful and relaxing is was on the boat. We all wondered why no-one had offered this before. We talked together, had a picnic, and only used our phones to take photos. Yet as we aproached Merchant Square on our return, you could almost feel the slip back into reality as our heads looked down at our phones again. This would also be good for celebrations. We saw a young girl and her parents celebrating a special birthday, and a gaggle of giggling girls probably having a hen party. We also saw friends enjoying spending time together and this was a wonderfully memorable way to do that. As nearly all who try GoBoat London have no boating experience it would be a good idea to add some more fender bumpers to the boats to protect them. And we saw a group heading out on the water who had a brought with them a Captain’s hat. Now that was a brilliant idea and GoBoat London might like to consider selling those. 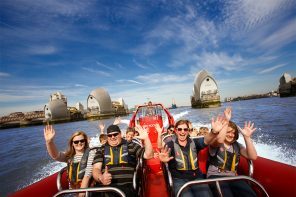 GoBoat London is operating throughout the summer and is taking booking until October. They will consider possible weekend bookings for November nearer the time. GoBoat London is operated daily from 10am to dusk.